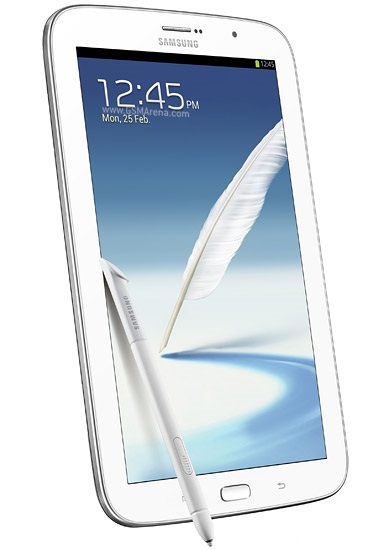 Samsung Galaxy Note 8.0 gives comfortable experience to hold and has a stylish looks. Note 8.0 has wider and thinner body like iPad mini, it’s body dimension is 210.8 x 135.9 x 8 mm. S pen makes natural experience in writing and preferred over typing. Note 8.0 has 8 inch TFT capacitive display with 1280 X 800 pixels resolution. The device has Quad core 1.6 GHz Cortex-A9 processor and Android V4.1.2 operating System. The device has 2 GB RAM and 16/ 32 GB internal storage and can be expanded up to 64 GB. Device has 5 MP rear camera with auto focus, Geo-tagging, touch focus, face detection, image stabilization and device also has 1.3 front camera. Device has Wi-Fi, Bluetooth, Infrared, GPS, USB support, etc. for the connectivity. Device is inbuilt with 4600 mAh Non-removable Li-Ion battery and gives up to 8 hour talk time.